It’s not only economic inequality that’s increased in the city of Phoenix, Arizona. In the last 40 years, environmental inequality has increased, too. The availability of foliage and vegetation — and the cooling effects they provide — now tracks with income. In 1970, there was no relationship. “Historically there were more trees, more equitably distributed,” said University of California, Riverside ecologist Darrel Jenerette. 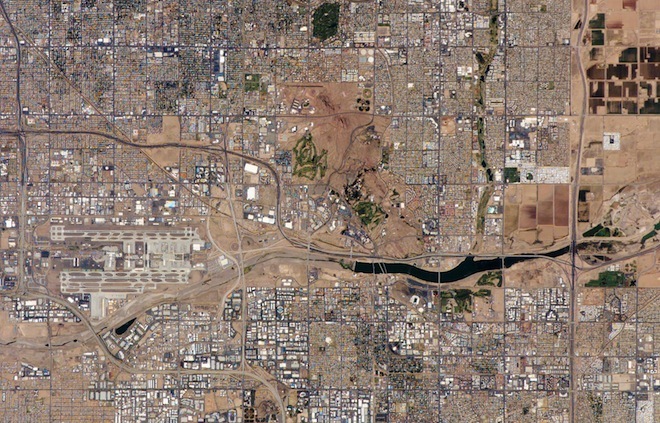 In a study published in Ecological Applications in October, researchers led by Jenerette and urban ecologist Chris Martin of Arizona State University crunched census data and satellite imagery of land use, plant cover and temperature in Phoenix between 1970 and 2000. Over that time, central Arizona became hotter and drier, conditions that appear to be a new regional norm. Phoenix, one of the fastest-growing cities in the United States, expanded in population from about 580,000 to 1.3 million. Average incomes rose, but also became more disparate. “Whereas uptown populations are increasingly sequestered in green showpiece zones, residents in low-lying areas who cannot afford the low-carbon lifestyle are struggling to breathe fresh air,” wrote Andrew Ross, author of Bird on Fire: Lessons from the World’s Least Sustainable City, wrote in the New York Times. That money buys tree-lined streets and parks and open spaces isn’t a new story, of course. What makes the new study notable is the change over time. 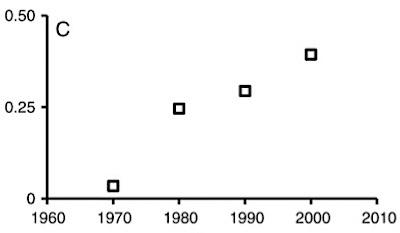 On an income-and-vegetation correlation scale of 0 to 1, in which 0 is the absence of any link and 1 is access to trees as a direct reflection of income, Phoenix went from 0 to 0.4 in 30 years. “These patterns document a gradual concentration of vegetation into higher-income neighborhoods compared with lower-income neighborhoods,” wrote Jenerette and Martin. In central Arizona, vegetation isn’t simply a pretty natural adornment. According to Jenerette and Martin, the shade under a tree can be 40 degrees cooler than a patch of bare soil. A large body of research links increased urban temperatures to health risks, exacerbated pollution and violence. A more immediate question is whether this environmental inequity can be fixed. Jenerette suggests Phoenix plant more trees and provide more parks, a recommendation that applies to most cities. But Pincetl cautioned that municipalities, already short of money, often rely on property owners to maintain city trees. Lower-income residents may not have the resources necessary, and — as in Milwaukee — housing market inequalities can end up reproduced in reforestation programs. In Los Angeles, the Million Tree Project has proved far more difficult to coordinate than anyone envisioned. Citation: “Ecosystem services and urban heat riskscape moderation: water, green spaces, and social inequality in Phoenix, USA.” By G. Darrel Jenerette, Sharon L. Harlan, William L. Stefanov, and Chris A. Martin. Ecological Applications, Vol. 21 No. 7, October 2011.